Check for Red Hot Deals – Put money back in your pockets and save cash to see and explore the destination! There’s always a deal to help with the financial stress of the holidays. 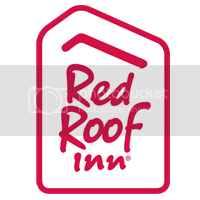 Red Roof offers the lowest rates in the industry and enticing discounts. To make the most of holiday savings, check out redroof.com before booking to find Red Hot Deals available during the timeframe of your travel. These property-specific discounts are posted on the homepage and can knock as much as 25% off the price of a stay. Sign up for loyalty programs in advance – Hotel loyalty programs are a great way to save money and receive extra perks. Our RediCard Rewards Program is the richest in the industry, with free nights after just 7,000 points and a full catalog of redeemable retail gift cards and popular consumer products. Joining for free on redroof.com prior to booking your stay grants you access to special savings: all RediCard members receive up to 20% off their rate if they book at least 48 hours in advance with the Advance Purchase Rate and members are the first to be alerted about special promotions and discounts. Don’t be afraid to book last minute – Last minute travel? No problem! Take a deep breath and don’t stress over booking late. with our Along-A-Route tool, its easy to book while on route to your destination. Using geo-location technology the website scans the direction of your car to offer deals from properties directly along your route, not out of the way or behind you. There’s no hassle and no worries. With as few as three taps, a comfortable and affordable room is yours in a matter of seconds. Bring your pet along – You don’t have to stay home or spend extra cash for a pet sitter or pet hotel. At Red Roof, pets stay free with zero hidden fees. It wouldn’t be the holidays without the entire family being able to celebrate, so bring your furry friend along with no worries. Safe travels and happy holiday adventures!